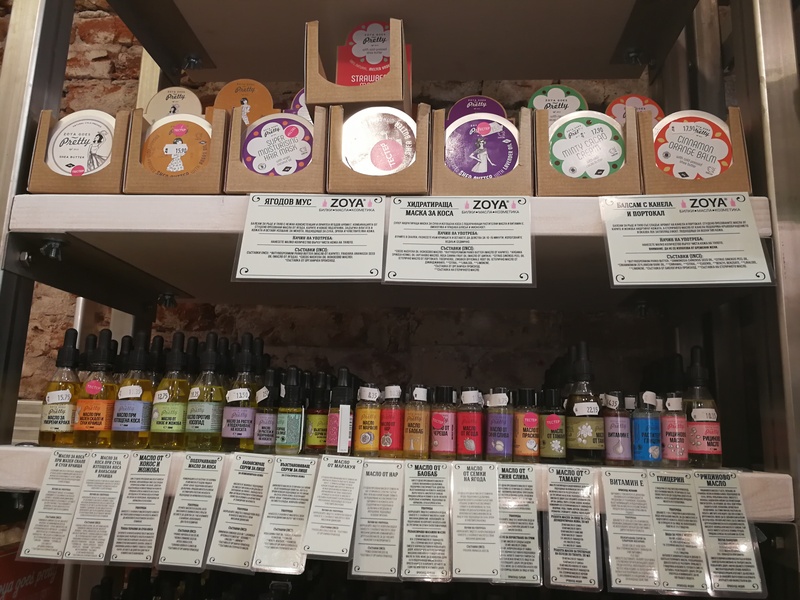 If you’re familiar with organic beauty brands from Eastern Europe you might know Bulgarian body care brand Zoya goes Pretty which was launched in 2013. 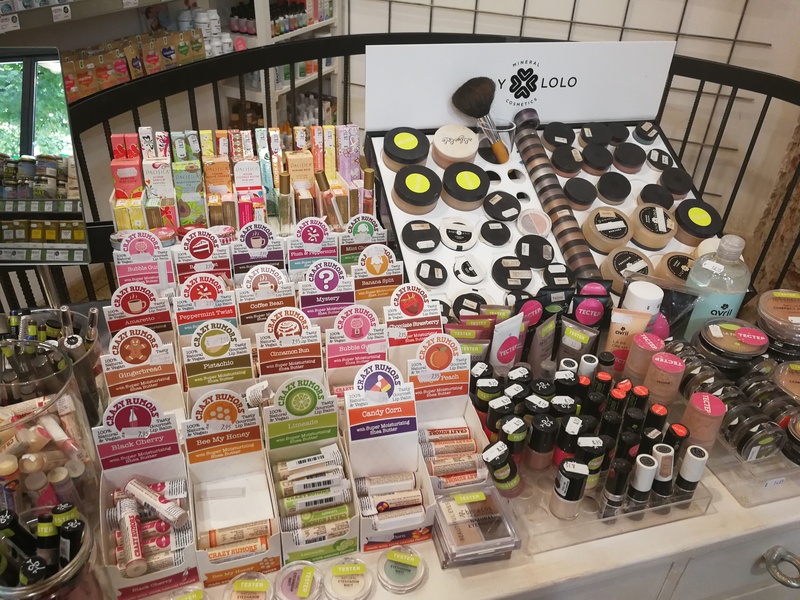 I first saw their products at Vivaness 2014 trade show in Nuremberg and immediately liked their shea/cocoa butter-based body balms with the pretty retro-looking packaging. Well, Zoya goes Pretty is the Zoya retail chain’s own label body care brand. 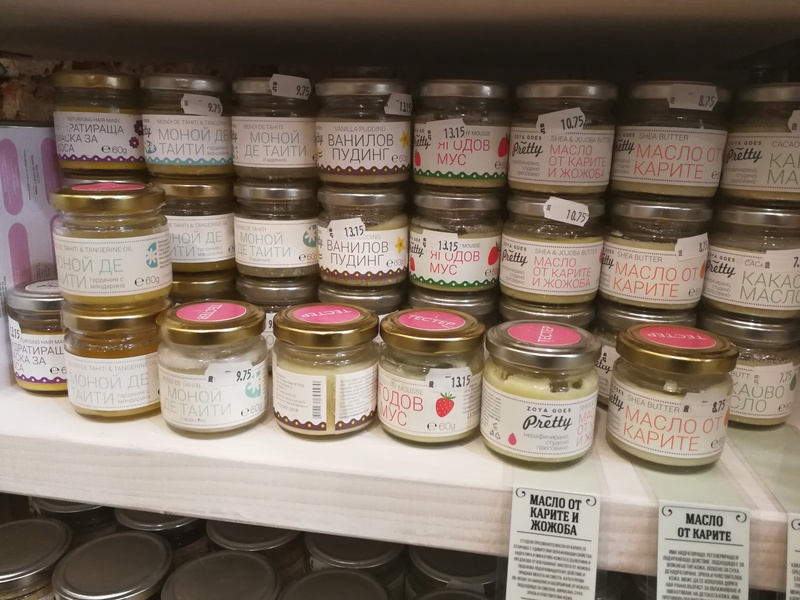 It took me surprisingly long to make the connection; I had Zoya on my must-visit retailer list for Sofia but it wasn’t until I actually stood in one of their stores and saw the body balms on the shelf in front of me that I realised that it was the same company. 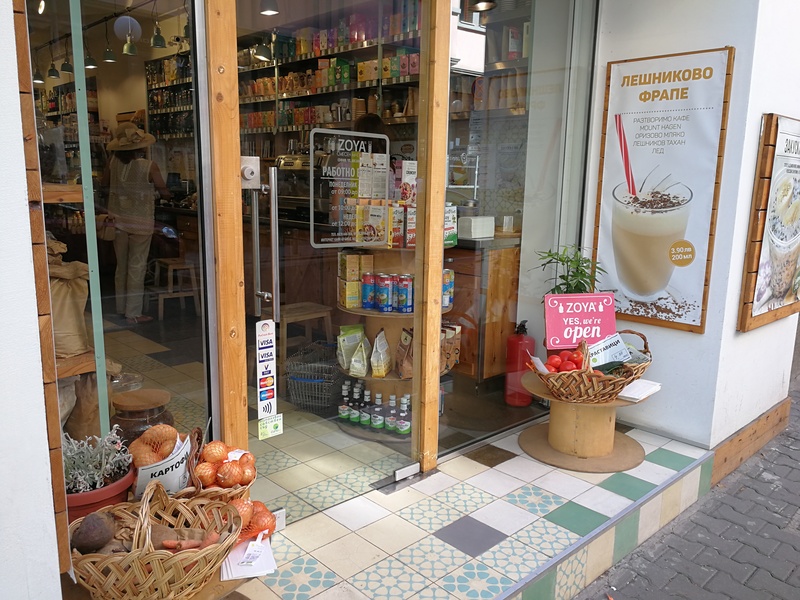 Zoya’s first outlet in Sofia was a small organic food store in Aksakov street 22 – see pictures below. On the Zoya website it is marked as “Store 1”. 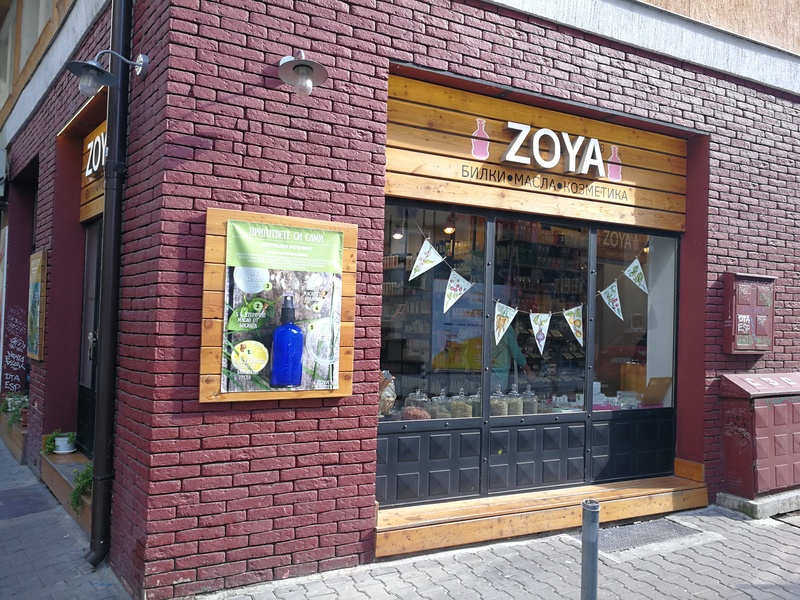 Zoya 1 sells German, European and Bulgarian organic dried and fresh foods as well convenience and to-go snack foods. 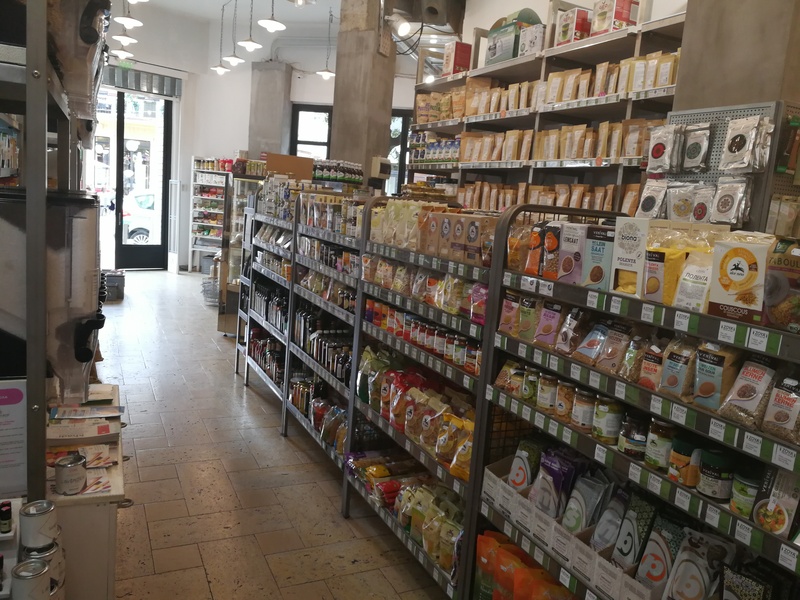 The store is also listed on several “eating vegetarian in Bulgaria” websites so I assume that they sell a comparatively large selection of vegetarian and vegan food items. This store opened in 2009. 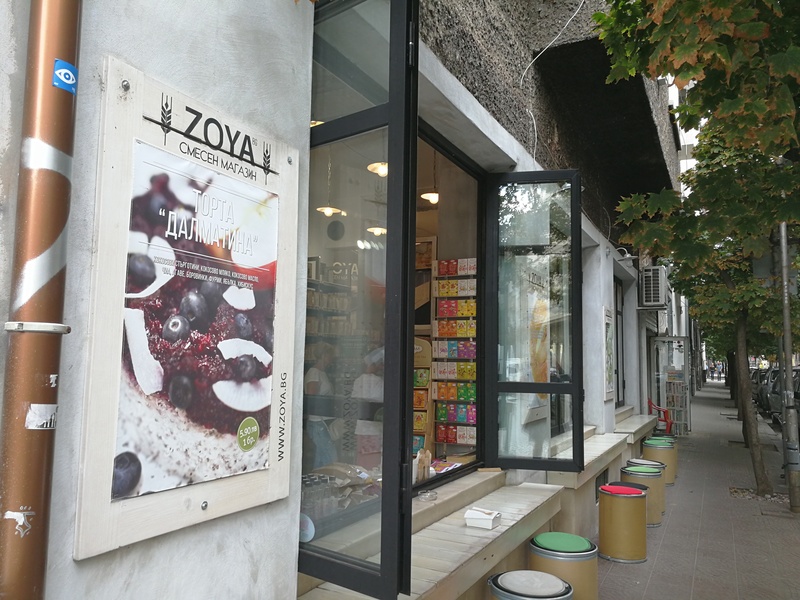 The second Zoya outlet is located on Neofit Rilski street 63 (on the corner with Han Krum street; on zoya.bg the store is marked as “Store 2”) – see pictures below. 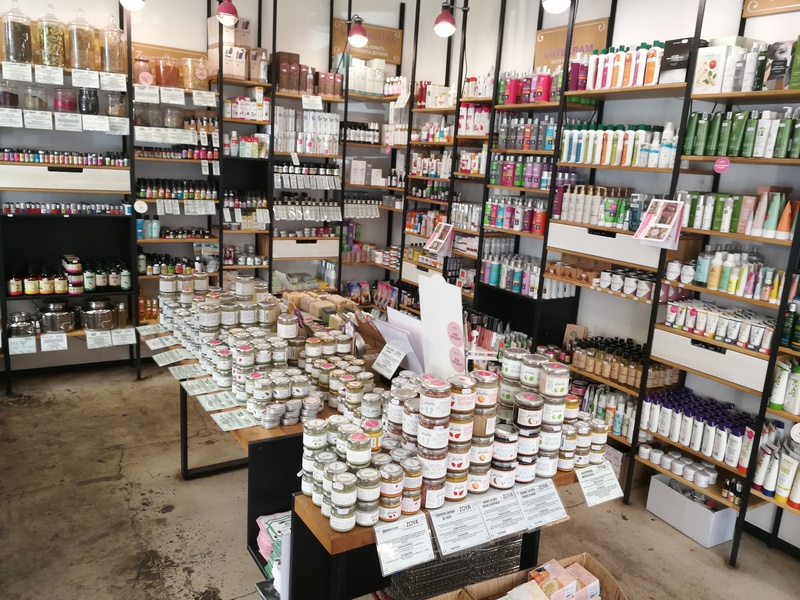 This store sells both organic foods and cosmetics; they offer a wide range of organic beauty brands as well as organic foods, confectionery, bulk products (mostly grains, nuts, pulses and so on) and household cleansing products. 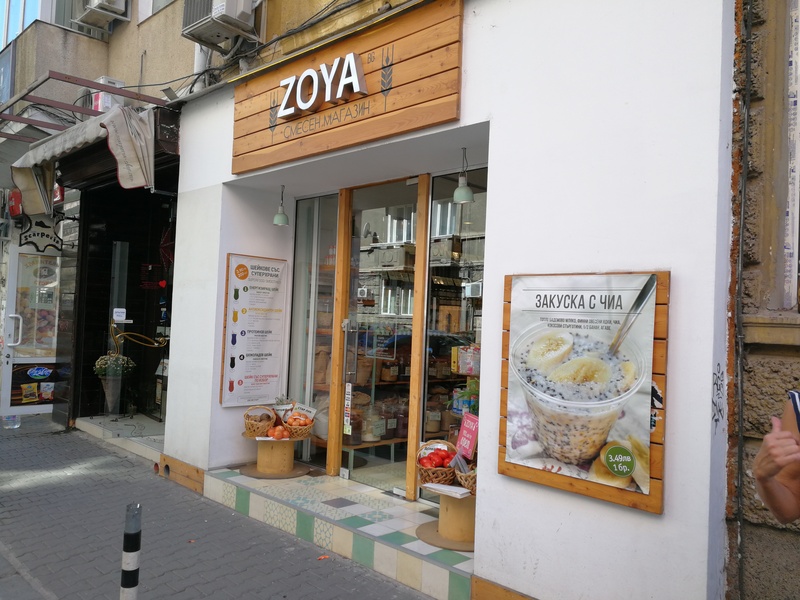 This Zoya also has a little café area which offers freshly made cakes and baked goods, coffee and tea and soft drinks. Their raw chocolate brownie is out of this world delicious! I’m not sure of the exact opening date but would guess that the store opened its doors at around 2014/2015. 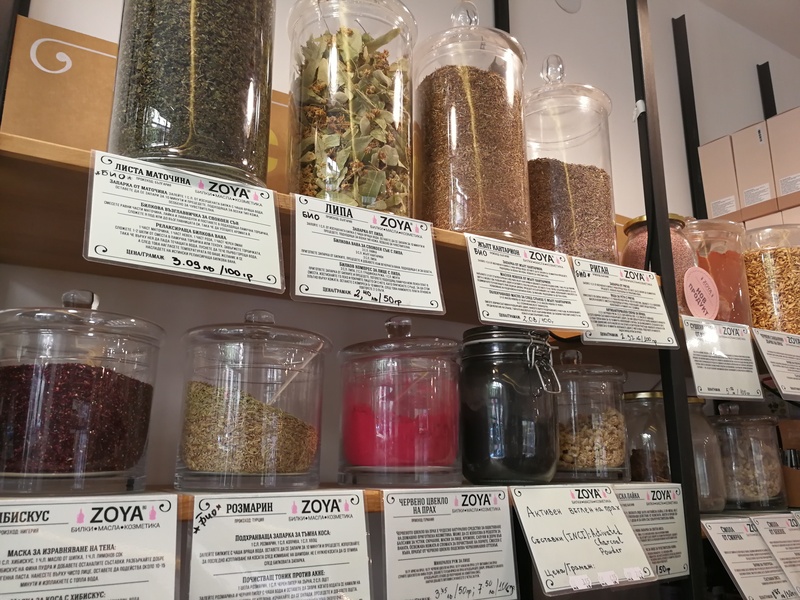 Finally, the third Zoya was opened just over a year ago, in 2016, and it is an organic beauty mecca! 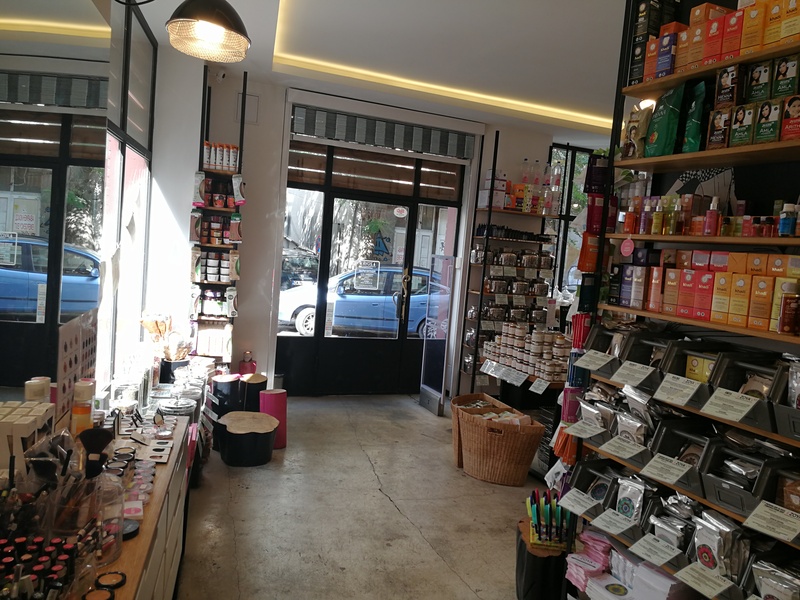 This shop sells only organic and natural cosmetics – the brand selection is, of course, much bigger than at Zoya 2 – and cosmetics ingredients: I counted some 20 different plant oils which ranged from argan, jojoba, castor and almond oil all the way to more unusual variants like tamanu oil and strawberry seed oil. 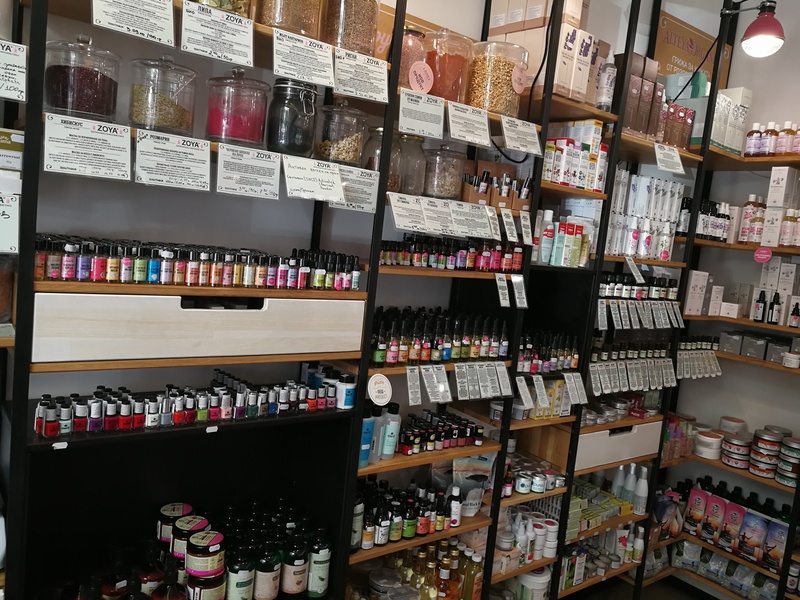 There are at least a dozen different dried herbs and flowers, a wide range of medicinal earth and clay powders (most of which are sourced domestically) and ingredients like citric acid, shea butter and glycerin for making your own cosmetics. You can also buy empty plastic and glass bottles and jars. The store is located on Aksakov street 12 (at the corner with Dobrudzha street, down the street from Zoya 1). And like the other two Zoya stores, the retail space is beautifully designed – check out the pics below! Zoya 3 offers the biggest choice of organic and natural cosmetics, closely followed by Zoya 2 (Zoya 1 only sells foods). The company’s brand selection includes Dr. Bronner’s, Aubrey Organics, Andalou Naturals, Hurraw! 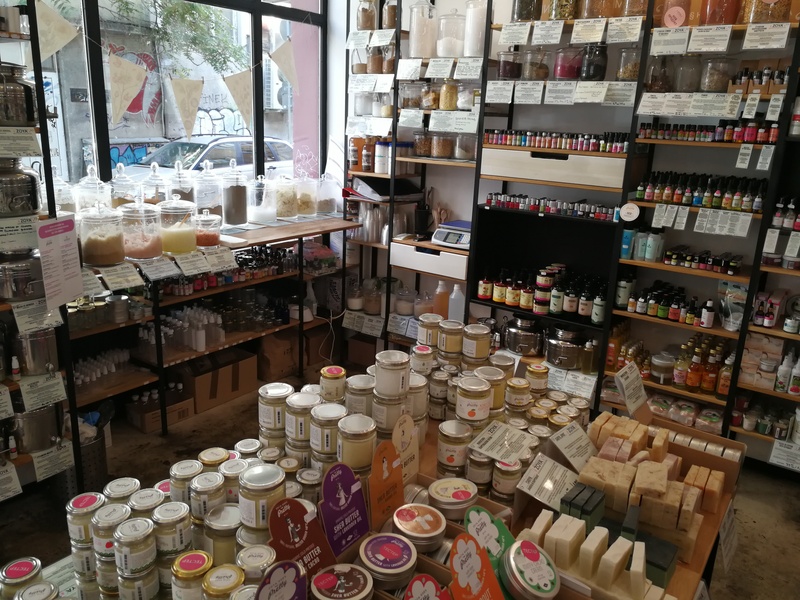 and Schmidt’s from the US; Laidbare, Handmade Naturals, Organic Surge and Lily & Lolo from the UK; Avril, Argiletz and BioSolis from France; Speick, Khadi, Logona, Sante, Lavera, Luvos, Cattier, CMD, Nonique, Cosnature, Bioturm and Eubiona from Germany; Dr. Konopka’s and Oma Gertrude from Estonia (Eurobiolab/Natura Siberica) and Mádara from Latvia. Zoya’s online store offers even more beauty brands (they also have European shipping!). 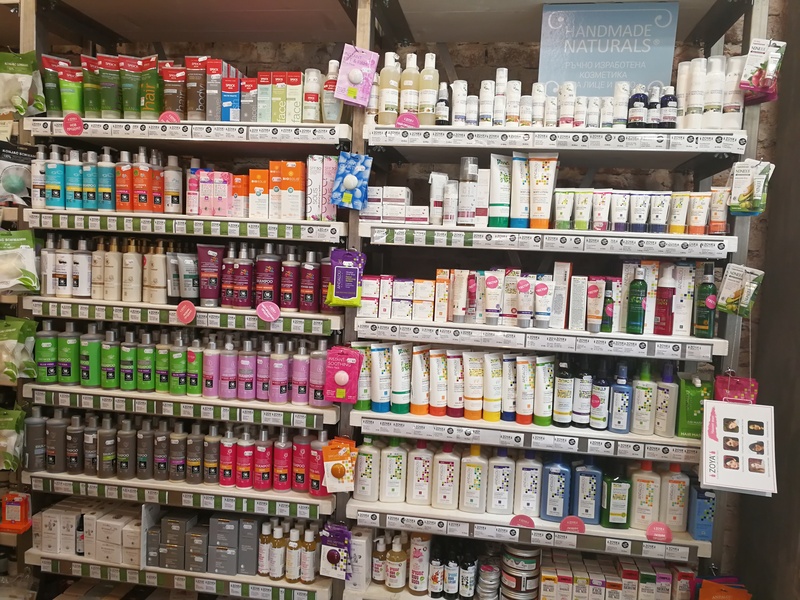 And then there are the Bulgarian beauty labels: in addition to domestic soap brand Сапунена работилница and hydrosol brand Дамасцена, Zoya’s local stars include Alteya Organics with its entire Bulgarian product line-up of face care (including the brand’s famous rose water, lavender water and melissa water in 500ml pack sizes! 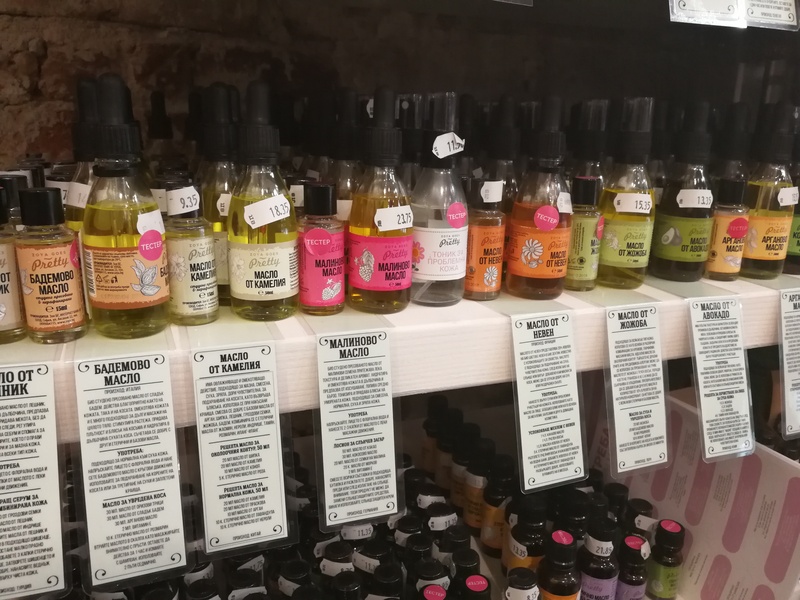 ), baby care and an extensive range of essential oils and plant oils and, of course, the company’s own label brand Zoya goes Pretty. 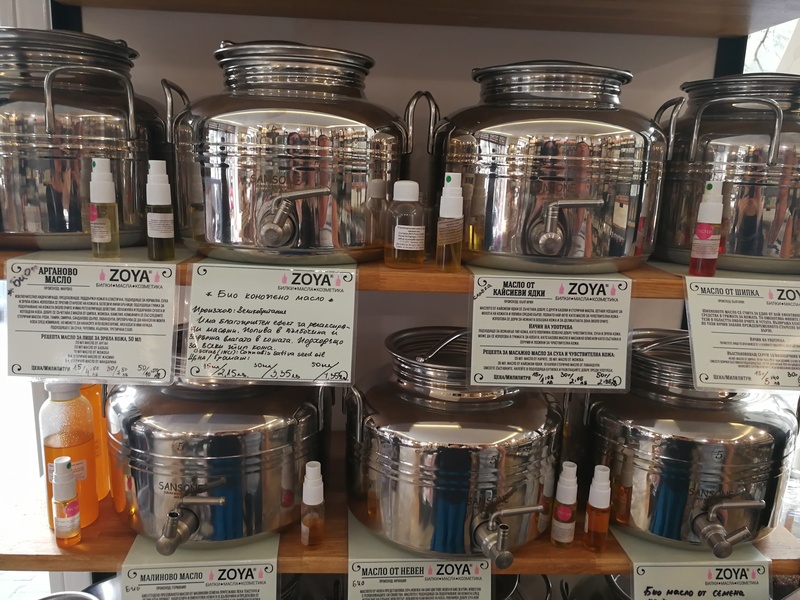 I only know the Zoya goes Pretty products that are displayed at Vivaness each year (body balms and butters in tins and jars), so I was surprised to see that in its home country the brand’s product range is much larger: they also sell essential oils and plant oil blends (see pics below). 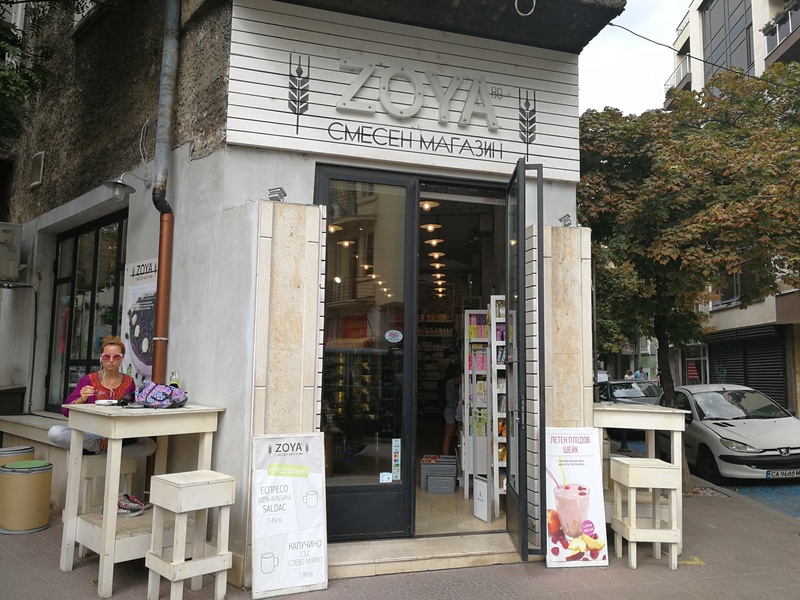 If you visit Sofia, make sure to check out Zoya’s stores! All three outlets are located in the same neighbhourhood (right in the middle of the historic city centre) and you can easily walk from one store to the others. Plus, the streets in that area offer all sorts of nice little cafés and bars, galleries, fashion stores, craft beer shops, fashion boutiques and small restaurants so it’s a lovely neighbourhood to stroll around in.